Young people report worse fibromyalgia than older patients. Hi there! Thanks for you input. I posted the link to the study because I thought it was controversial, to say the least! I agree, pain perception is so personal, individual and subjective that it seems unlikely they can put it in a neat box, measure it and say “voila, group x has more pain than group y”. Even if there is some kind of ‘average’ difference, so many people will fall outside that ‘average’. The only thing I can think of is that perhaps people who develop fibromyalgia earlier have more time for it to ‘sensitize’ their central nervous system into feeling higher levels of pain? Meaning that it will still stay more severe as they age? For example, since you developed it in your 20s, maybe it stays more painful as you age because it started so young? I do understand exactly what you are saying, and agree with it for the most part. I think maybe what happens (at least probably part of what happened to me) is that over the course of 30 years, I pretty much got used to living in pain 24/7……I have varying degrees of pain on any given day, and I’m sure my pain threshold has risen because of that fact. So maybe that is why they think older people aren’t suffering as much. I have no clue. It is raining and 57 degrees here in central IL today and I cannot begin to tell you how bad I hurt right now. Of course it’s not all just the fibro, but also the osteoarthritis that has invaded my body…..my hands feel like someone has beaten them with hammers. My hips feel the same. Every muscle feels black and blue. The tendinitis in my feet feel like they have been walking on hot coals. So there you have it. If this is what they mean when they say that I feel “less pain” than younger people, I don’t know what planet they are living on. I know the weather is a factor, not only the rain but the changing temps as the seasons change. It’s tough. Anyway, I’m glad you did not take offense at my strong reaction to the article. My angst was not directed at you, I think you realize that….it’s just all these stupid studies and observations….I swear, how they come up with some of this data blows my mind. LOL I hope you have a good day my friend, and thanks for the response. This is most interesting but a little confusing. HI! Thanks for stopping by and reading. I thought it was a controversial article because of the idea of ‘measuring pain averages’ and pain perception in different age groups. I have read in the past that fibro eased as you got older and went through menopause. I had always hoped it was true because it gave me something to look forward to, that I would feel better as I got older. I also heard that fibro doesn’t damage your body in anyway and that it doesn’t get worse. I’m 38 and have been dx with fibro for 10 years. Maybe these people who said it got better and hadn’t done a longitudinal study on people dx young and followed them. My fibro pain waxes and wanes. It’s not getting better. I also seem to add more symptoms as time goes. I call that getting worse. thanks for sharing your perspective! 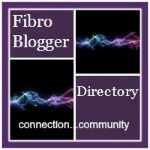 From all the feedback, I’m thinking that this study isn’t reflecting the experiences of a lot of fibro sufferers. You’re right that longitudinal studies of people diagnosed young are what is needed to compare to people diagnosed later on in life.